Google could receive approval from the US Department of Justice for its $12.5 billion acquisition of Motorola Mobility as early as next week, giving the internet search giant a powerful armory of patents for its Android operating system, according to people familiar with the matter speaking to the Wall Street Journal. However, antitrust regulators in both the US and Europe apparently remain concerned about the company’s commitment to fairly license the patents they will be gaining from the deal. The European commission is set to make a decision whether to approve the acquisition by Monday at the latest. 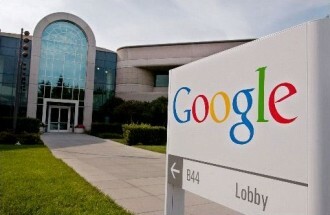 Google sent letters to standards agencies yesterday insisting that it promised to offer licenses for their patents under fair, reasonable and nondiscriminatory terms (FRAND) in Motorola’s portfolio. "Google will not apply for injunctive relief against a willing licensee," they wrote in the letter. The WSJ cited that according to the letter, "a willing licensee would meet certain conditions that include providing sales estimates and paying royalties into an escrow account." Although the internet company didn’t specifically detail how it would deal with unlicensed companies, it did say it "reserves its right to seek any and all appropriate judicial remedies against counterparties," for those that refuse to license its patents. The deal, once completed will give Google 17,000 patents based around mobile technology and are likely prove invaluable in defending the onslaught of lawsuits that partners utilizing their Android mobile operating system have been subjected to over the last year. Apple in particular has been very active with lawsuits against Samsung and HTC, for what it says are violations to patents the company owns. The courtroom drama has been particularly fierce with Samsung, considered to be one of Apple’s strongest competitors, as the South Korean electronics giant gains ever-larger footholds in multiple markets alongside the Iconic American electronics retailer. This has resulted in both companies filing lawsuits against each other in over 20 different countries, with mixed results for both sides.